Today, Médecins Sans Frontières (MSF) welcomes Dr Joanne LIU as the new International President of MSF. Dr Liu was elected President during MSF’s International General Assembly in June 2013. Born in Quebec City, Canada, Dr LIU trained at McGill University School of Medicine, going on to do a fellowship in paediatric emergency medicine from New York University School of Medicine and an International Master's in Health Leadership at McGill. She is an associate professor at the Université de Montréal and has also taught at Fudan University in Shanghai. 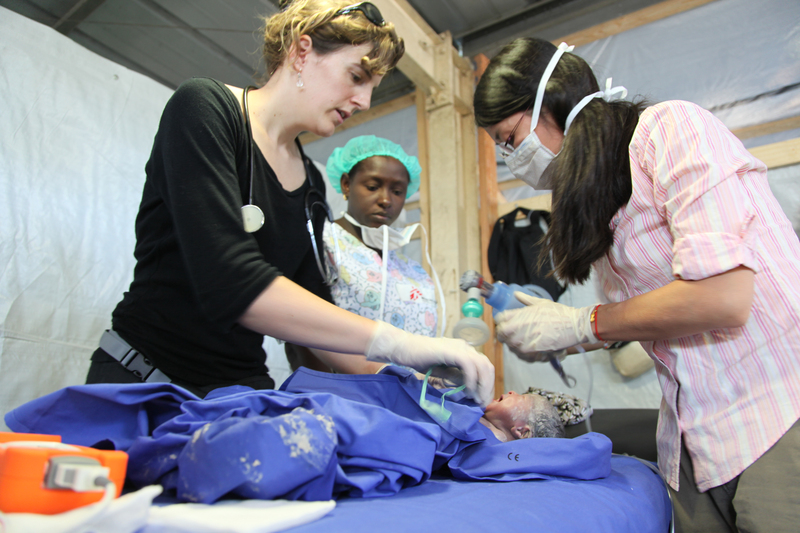 "Dr Liu's extensive experience with MSF, doing hands-on medical work as well as managing field projects, and her passion for keeping our patients at the centre of our humanitarian work, lay a strong foundation for where we can continue to take MSF in the coming years," says Jerome OBERREIT, Secretary General of MSF International. Dr Liu started with MSF in 1996, when she worked with Malian refugees in Mauritania. Since then, she has provided support after the tsunami in Indonesia, assisted people affected by the earthquake and cholera epidemic in Haiti, and worked with Somali refugees in Kenya. She also helped develop one of the first programs offering comprehensive medical care for survivors of sexual violence in the Republic of Congo. She has worked in many conflict zones, including in Palestine, Central African Republic and Sudan’s Darfur region. From 1999 to 2002, Dr LIU was a programs manager at MSF’s Paris office. She was President of MSF Canada from 2004 to 2009. She helped create the telemedicine project, which connects MSF physicians in 150 remote sites with a pool of more than 300 medical specialists across the globe. The arrival of Dr Joanne Liu marks the end of the presidency of Dr Unni KARUNAKARA. "Unni is best known for representing our organisation publicly, especially at difficult moments like when we had to stop working in Somalia,” says Oberreit. “Less known are his tireless efforts to listen to our field staff and discuss their concerns with government officials and academics. Unni has taken on the presidency with a personable style, boundless energy and a singular focus on those who need medical care and those who try to deliver it."